Announcing 8 Nights London and Paris Accessible Escorted Group Trip 2017! Home »Disabled Travel Newsletter »Announcing 8 Nights London and Paris Accessible Escorted Group Trip 2017! 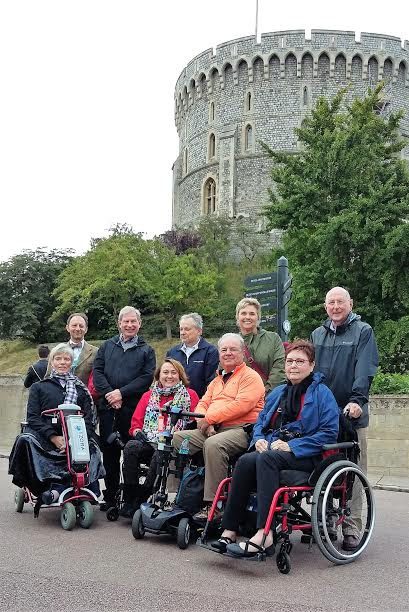 Did you miss our accessible 2016 escorted group trips? Join us for a unique, fun and unforgettable accessible vacation combining 4 nights the world’s “most popular travel destination in the world”, London, with 4 nights in the beautiful romantic city of lights, Paris. 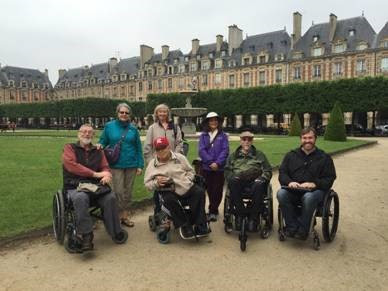 This escorted accessible group trip is a once in a lifetime opportunity for you to experience firsthand all that the British and French Capitals have to offer, including rich history, unique architecture, memorable sightseeing, and must see attractions and museums. You’ll be escorted by an Accessible Travel Expert to assist with trip logistics. 24/7 Accessible Travel Emergency Support Team available to assist you with any accessibility emergencies that may occur during your travel! London Tour Highlights: Big Ben, Parliament, Buckingham Palace, London Eye, Westminster Abbey, Cabinet War Rooms, Thames River boat tour, Tower Bridge, Tower of London, St. Paul’s Cathedral, British Museum, National Gallery, Trafalgar Square and much more! Accessible Paris Hotel: Beautiful 4 Star centrally located hotel in the historical center of Paris, complimentary breakfast, hotel bar, 24- hour room service (not included in price), state-of-the-art fitness center,and much more. The accessible rooms feature roll in shower or bathtub, grab bars alongside toilet, wide doors, TVs, hairdryer, mini-bar, fridge, tea and coffee making facilities. Paris Tour Highlights: Notre Dame, Left Bank, Seine River, Latin Quarter, Eiffel Tower, Trocadero, Place de la République, Arc de Triomphe, Champs-Élysées Boulevard, Louvre Museum, d’Orsay Museum, Rodin Museum, Luxemburg Gardens, and more! Accessible hotel accommodation at 4 star hotel in the heart of London (walking distance to Big Ben) and Paris (walking distance to the Louvre). 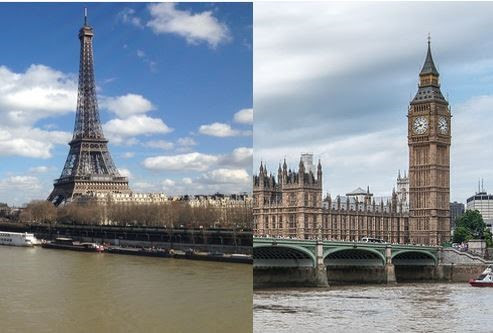 Accessible transfers from Heathrow Airport to London Hotel, London hotel to London Train Station, Paris Train Station to Paris Hotel, Paris Hotel to Charles de Gaulles Aiport. Accessible Train Ticket from London to Paris (onboard the famous Chunnel Train). The price of your 8 Night Accessible London-Paris Group Trip is $6,356.00 per person. **Only 6 accessible hotel rooms are available in each city. They will be filled on a first-come, first-served basis. We recently returned from a trip to Paris and had a great time..We stayed near the Louvre and the room was accessible and had a great roll in shower. There are many great restaurants nearby and the location was perfect. Our tour was filled with many great locations and the transportation worked out well. John Sage was part of our group and his French language skills came to the rescue on several occasions. We were in Paris during a time when the Seine River was at historic highs and we experienced lots of rain. John was quick to adjust our itinerary when unexpectedly the Louvre and d’Orsay museums were closed, due to flood concerns. We went to alternate museums away from the river and never skipped a beat. We enjoyed meeting our fellow travelers and making new friends… We are still talking about the great food and the rich culture and history of Paris. There are always challenges when traveling as a wheelchair user, but the joys far outweigh the problems. It’s good to get out of your comfort zone and take on new challenges. We would do this again in a heartbeat and look forward to more adventures with Sage traveling. Contact Desiree to book Today and Receive $500 off your 2017 accessible Paris Group Trip!